Elijah Streams: Discern the World Around You and See Rapid Results in Prayer! Jennifer Eivaz is becoming a well-respected voice not only in the prophetic but in understanding the gifts of the Spirit. She has keen insight in the gift of discerning of spirits and explains it well in our latest episode of Elijah Streams. After watching our interview with her, I encourage you to get her products on this same subject matter because they will really help you to go deeper and further in your understanding of the things of the spirit! To view her products click here. Believe me... you'll be blessed and grow exponentially in your prayer life and in your gifts from Jennifer Eivaz's messages and her show! 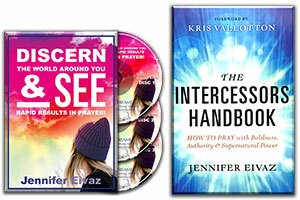 Call NOW to order Jennifer Eivaz's popular BOOK, PLUS THREE-CD set called, "Discern the World Around You and See Rapid Results in Prayer!" 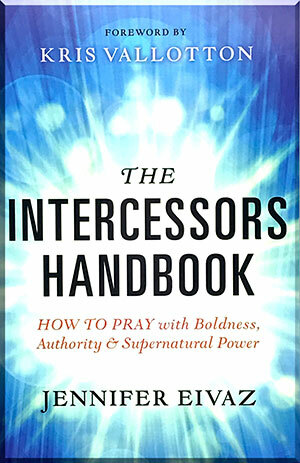 Jennifer's book: "The Intercessors Handbook" and 3-CD set—will advance you in your gift of discernment and bring breakthrough in supernatural prayer. In this eye-opening AND GAME CHANGING package—Jennifer Eivaz dives right into how the gift of discerning of spirits works—and how YOU can develop and recognize this gift that God has given to you! Find out what the "fruit" of the gift of discernment is and how you can recognize if you're walking in it. Understand how to discern through your senses and learn major keys-along with the do's and don'ts for using this gift. 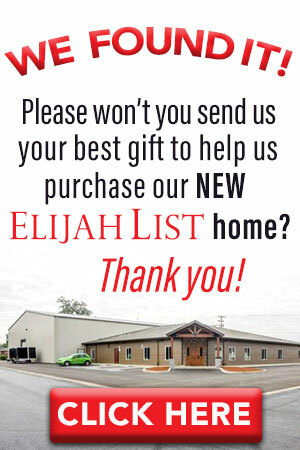 You won’t want to miss out on Jennifer Eivaz’s NEW OFFER made exclusively just for you—our Elijah Streams viewer.